The natural occurring liquid oil – normally found in deposits beneath the surface of the earth – is composed of rock minerals, making it different from other kinds of oil which are derived from plants and animals. The oil industry is the most influential and important industry in the world. The Economic Issue of oil is its acquisition, cost, and effect on other prices. Being a basic energy input, and because consumers shop within their transportation range – the price of fuel determines the shape of working and living patterns in a particular economy. Oil constitutes one of the most prevalent sources of environmental degradation in the industrialized world. In large concentrations it is highly toxic to many organisms, including humans. Furthermore, oil contains trace amounts of sulfur and nitrogen compounds, which are dangerous by themselves and can react with the environment to produce secondary poisonous chemicals. 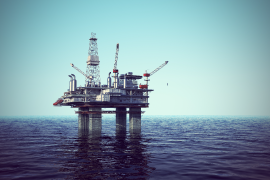 What can be done to prevent the oil industry having a strong impact on the world economy? How can we stop using oil as the main commodity? What can we do to face all the environmental issues? When can we create a better and safer alternative to oil? Minimize risk factors with the evaluation of qualified personnel. CBE partners with oil companies to address their most important strategic, operational, and organizational challenges. Our focus on delivering a lasting competitive advantage has helped our clients to succeed in an increasingly challenging marketplace.